I have heard numerous people say “sure, we get more mobile traffic, but it is the desktops and laptops that actually convert.” Here is a thought. Take a look at your analytics software and see if that is really the case. Here is a graphic from one of our clients (a building services company). It shows conversions by device for the last three months (May, June and July 2018) compared to the same three months last year. As you can see, last year (the lower thinner striped bars) the overwhelming volume of conversions was indeed from desktop computers. 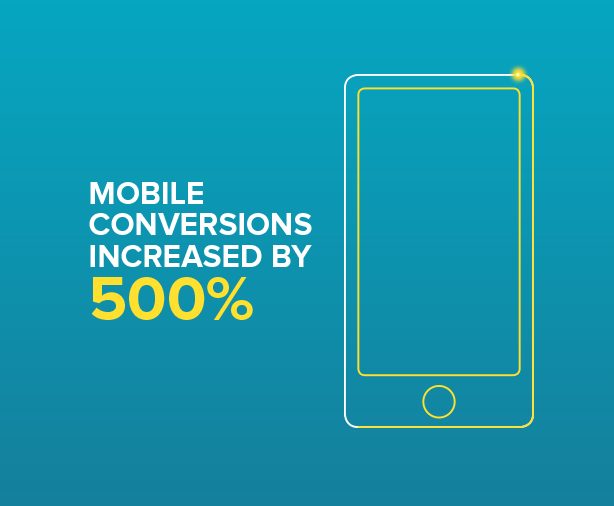 However this this year, (the upper solid bars) the majority of conversions are from mobile phone visits. What does this change in use mean for website owners? Firstly it means your website is not the website you used to know. To understand how the majority of your visitors view your site you need to look at it on a mobile screen yourself. Visit every page. Click every button and make sure the process is at least as smooth and intuitive as it was on your desktop computer. One particular problem you might come across is buttons placed close together. On desktops this is rarely a problem, but on mobiles this can make sites difficult to navigate at best, or at worst, completely unuseable. Secondly it means the ‘that will have to do’ approach will not do. The old days of building big beautiful widescreen sites and then trying your best to replicate them on small screens is a road to ruin. Start with the mobile experience and then if necessary adjust it to give the minority who still want to see your site on bigger screens a decent option too. This takes a radical shift in perspective that will require everyone connected with your website to get fully on board with the new reality. Thirdly, think about the realities of mobile phone use. Many people will be viewing your site on public networks where they are sharing broadband capacity with dozens or even hundreds of other people. Although your site may load fast on your computer at work, how does it do on your iphone down at the local Cafe Nero’s? Speed is once more one of the most important factors in web design. If you need help bringing your old site up to the standards demanded by your new customer base, please feel free to give us a call and let us help you deliver the website your business needs today. Chris is a web developer, project manager, pay per click advertiser, public speaker, tea drinker, town crier, copywriter, and all round digital marketing aficionado.